Are you in need of the most effective tree trimming Johannesburg wide? Whether you’re in need of top notch tree pruning for a single tree or even many trees, we are the contractors for the task. Our team of tree felling experts understands the significance of trees in the eco-system, but when hinder electric lines accessibility, are too close to the property of your neighbor, or fall debris quite a lot, it is essential that they’re trimmed. In such a case, our expertise in this line of work allows us to address such pertinent issues in a timely manner. We are certified by the South African regulator and fully abide by their rules and regulation. We are thus insured and so you don’t have to worry about property damages in the course of our operations. We take pride in satisfying our clients and that is why we always listen to our clients’ needs and specifications. 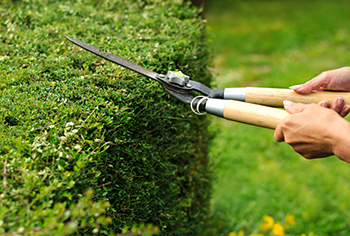 Our expert tree trimming in Johannesburg is carried out by a highly competent team that ensures all the pruning tasks and site clearing they undertake are as per the industry-set standards. We additionally provide emergency tree pruning services for those with issues like electrical lines installation. Do not hesitate to call us on 087 551 0614 for all your tree pruning of big and small trees. Get in touch with our service desk today and they’ll respond to your call regardless of the time of day it is.